MC 3060-10 Multi-Code 1 Button Mini-Keychain Remote 300MHz. 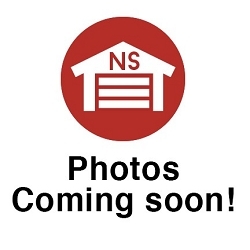 The Multi-Code garage door opener remote controls and receivers that you need are affordably priced at Garage Door Supply Company. We have remotes that clip to your car visor, mini Multi-Code keychain remotes that fit in your pocket and wireless keypads you can install outside your garage for entry without a remote. 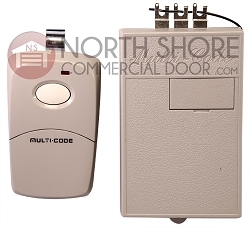 Our 300MHz 1-car Multi-Code radio set works on any garage door opener. The set includes a receiver and 1-button remote for use on all 3-terminal garage door openers and gate operators. Or, order our set with one receiver and two 1-button remotes. Because we've carried all major brands in garage door openers and receivers since 2008, you can trust our expertise when it comes to helping you with compatibility, function and programming issues. We offer free tech support before and after every sale. Contact us via our online form, or call 1-888-346-3176.